Home » OSL Blog » Is Gatorade good for you? Sports drinks like Gatorade have been around for decades and have become a drink of choice for people of all walks of life and activity level. You’d be hard-pressed to walk across campus or through the office without seeing at least one person with the colorful drink sitting on their desk. You can find Gatorade in almost every grocery and convenience store. It might even seem like a great choice to keep you hydrated while out completing errands on a busy day or working out at the gym. But does that mean that Gatorade is actually good for you, or is it a marketing ploy to get you to believe you need it to properly hydrate? 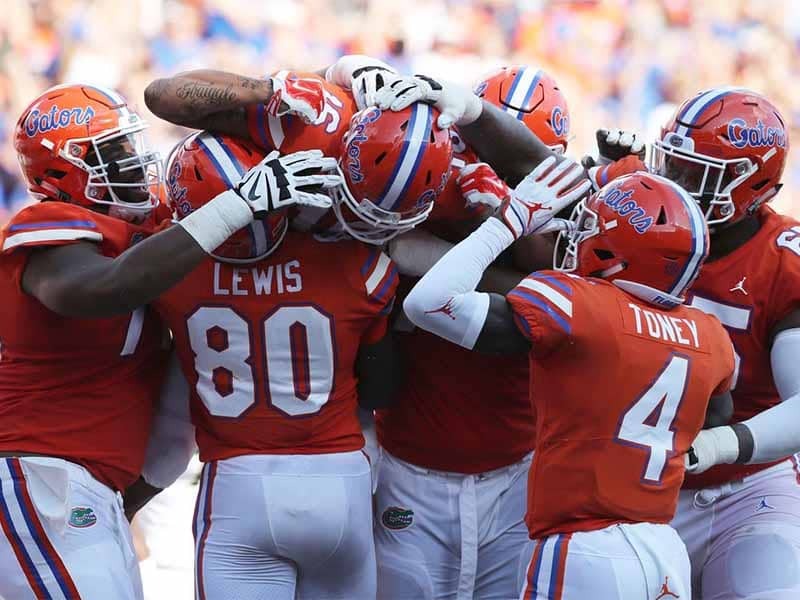 The heat was impacting the University of Florida’s football team and the assistant coach wanted to know why. He asked physicians at the University to figure out what was happening and how to solve it. They found that two things caused the heat-related illnesses – the failure of fluid and electrolyte retention in the body and a lack of energy replenishment. They created the first formulation of Gatorade in 1965 to be consumed by the Florida Gators (for which the product is aptly named) and history was made when just two years later, the team went on to win the Orange Bowl for the very first time. Their success did not go unnoticed. Soon, other universities started to order the drinks for their athletic programs and it wasn’t long before even bigger players started to pay attention. Once Gatorade was introduced to the NFL, it quickly took off, becoming the official sports drink of the NFL in 1983, a title which it still holds today. Anyone who has been dehydrated before may recognize the signs – dizziness, rapid heartbeat, fatigue, and headaches. These symptoms point to a need for more fluid and to replace the minerals your body loses while sweating. Water alone cannot restore the body’s electrolyte balance. Athletes especially need a quick and easy source to keep their bodies running at an optimal level. Gatorade is a product of all of these factors in mind. Gatorade needs a balance of water, salt, and carbohydrates (energy) to make sure the athletes can recover quickly and maintain for longer periods of time. Two decades after inventing the sports drink, the Gatorade Sports Science Institute (GSSI) was founded in Illinois to further study hydration and its link to exercise science and sports nutrition. The company has done well to make a name for itself in the sports industry, but is Gatorade good for you? Curious to see the ingredients that researchers have found to be the best mix to keep athletes at peak performance? Two different sources of sugar, food dyes and caramel color, and the all too mysterious natural flavor make up the majority of the list. We don’t know about you, but that looks a lot like a list of ingredients on a soda can. However, comparing the amount of sugar from Gatorade to Pepsi can be shocking. A 20 fluid ounce bottle of Gatorade has 34 grams compared to Pepsi’s 69 grams for the same size drink. The United States Department of Agriculture (USDA) released new dietary guidelines in 2015. They recommend the average American consume no more than 10% of their daily calories from added sugars.This translates to 20 grams of sugar, which is less than what one serving of Gatorade contains. Sugar and dextrose are both ingredients in a bottle of Gatorade. Sugar in our food supply comes from cane sugar and sugar beets. Dextrose is a form of glucose that is naturally produced in the body, which is why it’s a popular choice for the food and beverage industry. For years, the Center for Science in the Public Interest has petitioned the Food and Drug Administration (FDA) to ban food dyes, as it has linked them to hyperactivity and other behavioral issues in children. The National Institute of Health (NIH) backs up their claims. Citric acid and phosphoric acid are used to provide the tart or sour taste, as well as help with carbonation. While citric acid is considered harmless to those without an allergy, studies have raised concern over phosphoric acid adversely affecting organ health. Coloring has long been used in our food and drinks to appeal to consumers. After all, we eat with our eyes before anything else. The FDA considers caramel coloring as generally safe to consume (GRAS) as long as it is made to their guidelines. To date, there have not been any confirmed studies on negative effects on human health by ingesting caramel coloring. Companies can call anything that is not artificial or made in a lab natural flavoring and the individual ingredients don’t even have to be listed. We don’t know what is being used in that flavoring but the FDA has a long list of natural ingredients listed as GRAS. As Millennials and Gen X’ers continue to get older with more buying power, they are making more conscious choices for the environment as well as their health. Companies like PepsiCo and Gatorade have taken notice and increased production on products that are more in line with these age groups purchases. But are these products really any healthier? Let’s take a look to find out how the ingredients in Organic, G2, and Zero compare. Gatorade Organic boasts less sugar, sodium, and carbohydrates and a simpler ingredient list. It includes organic cane sugar instead of white sugar and organic natural flavoring. What’s the difference between organic cane sugar and white sugar? Sugar is sugar, says Monica Reinagel, MS, LD/N, CNS, but organic cane sugar is grown and processed without synthetic pesticides and herbicides. This reduces the amount of synthetic chemicals in the environment and in your body. When organic natural flavoring is listed as an ingredient, it means that it cannot be processed using certain synthetic preservatives and solvents. This criteria makes it slightly better than non-organic natural flavoring. So far, G2 wins with the lowest amounts of sugar, carbs, and sodium per serving than the other Gatorade products. Citric acid, natural flavor, salt, food dyes, and sugar are all familiar ingredients. But what about monopotassium phosphate, sucralose, and acesulfame potassium? An electrolyte and preservative, too much monopotassium phosphate can draw out calcium and potentially lead to brittle bones and increased likelihood fractures. Sucralose, commonly known as Splenda, is a lab created zero-calorie sweetener used in place of sugar. In 2013, the CSPI downgraded sucralose from “safe” to “caution” due to potential leukemia in long-term studies of lab tested mice. Acesulfame potassium is another lab created zero-calorie sweetener used as a sugar alternative. It is 200 times sweeter than sugar. Lab tests have found that this sweetener can cause a host of health issues when consumed over the long-term. As you can see, Zero offers average sodium levels compared to the other products, but no carbs or sugar. A lot of the ingredients have already been discussed, but now we see modified food starch, mixed triglycerides, and glycerol ester of rosin. Modified food starch is used in food and beverages to provide a better mouthfeel and thicken the product. It can be treated in a number of different ways depending on how it will be used in its final form. Triglycerides are types of fat found in the body that store energy for use when needed. According to the NIH, too high of levels in the body can lead to various heart diseases and is found more often in women than men. Wood rosin, labeled as glycerol ester of rosin, is taken from select trees and used in the food and beverage industry as an emulsifier and stabilizer. Studies have been done but are still unclear if this additive is safe for humans. Now that we’ve taken a look at the ingredients, is this something your body needs and should you be drinking it? Is Gatorade good for you? Read on to find out. Who’s it Good for Anyway? Gatorade is made specifically with pro athletes in mind. But that doesn’t stop people of all ages from drinking the sports drink even if they aren’t active enough to justify drinking it. At what point do you need a drink like this? Most experts can agree that strenuous activity of 60 minutes or more is typically a good benchmark of who may need these types of drinks. Registered Dietician Natalie Rizzo agrees and goes further to say people who are heavy sweaters may even need electrolyte replenishment as soon as 30 minutes when working outdoors in the heat. So far, we’ve seen that sports drinks like Gatorade can be a good choice for athletes and laborers working out in the heat but not so good for people who are mainly inactive or only do light exercise. Rizzo advises that its best take small sips throughout the day to ensure adequate hydration for workers in the heat all day. This also helps limit the amount ingested to reduce empty calorie intake. But what about people who sit at a desk most of the day? They will benefit the most from just drinking water. Gatorade is 150 calories per serving, which is equivalent to 10 teaspoons of sugar. The calories and sugar per serving are higher than a sedentary person or casual exerciser needs and can actually cause weight gain and other potential health issues. The average person does not drink enough water each day, often preferring to drink soda or fruit juice, both of which contain high amounts of sugar. Athletes in heavy training would benefit from drinking up to a gallon of water per day in order to stay hydrated and provide enough fluid for the muscles to stay full. The alternative Organic, G2, and Zero lines might be a slightly better choice, but include more lab created sweeteners and preservatives that may be worse for your health. When billion dollar corporations think about marketing, they want to be sure they can entice people young and old to their products. Gatorade, currently owned by PepsiCo Inc., is no exception. Study after study has been done on the effects of fructose, sucrose, and high-fructose corn syrup (HFCS) on the human system and its link to obesity. It should be a surprise to no one that the obesity epidemic has gripped children, especially in the United States. To appeal to the masses, companies like Gatorade have gone to great lengths to market to child athletes playing for their local school or rec center. In 2012, The Gatorade Company partnered with The National Athletic Trainers’ Association (NATA) to declare July 11 National Recovery Day, geared towards high school athletes. When several states wanted to ban large sugary drinks in restaurants and include a tax on all others, companies within the $8 billion sports drink industry fought back. This included Gatorade, who created their new products Gatorade organic, G2 with half the sugar, and Gatorade Zero with no sugar (but still includes sucralose). If you are concerned about your child’s health or want to reduce their sugar intake, replace a drink like Gatorade with water for hydration and fruits to refill energy. Is too much Gatorade Bad for Your Kidneys? Carbohydrates are needed in order for the body to function properly. DaVita Kidney Care advises a minimum of 130 grams per day is required. People who have normal kidney function will likely be able to consume sports drinks with no ill effects if they are taken in moderation. Drinking a sports drink can actually help you when you are sick and has even been said to help rehydrate when feeling hung over. The citric acid in Gatorade may benefit people who have kidney stones by breaking them up and making them easier to pass. However, it does contain phosphoric acid and high levels of phosphoric acid can lead to organ failure and poor kidney function. Consulting a doctor or dietician is the first thing that should be done if you think you may be at risk for health issues including diabetes or kidney disease. They will be able to monitor your unique situation and provide you with a guideline to follow to make sure you are getting the right nutrition from food and beverages. Gatorade contains 12% of the Daily Value carbohydrates based on a 2,000 calorie diet. Most people do not consider drinks towards their daily goal, which can also contribute to weight gain, diabetes, liver, heart, and kidney issues. Have you been able to answer the question: Is Gatorade good for you? If your answer is anything but yes, keep reading. Are you wondering what might be a good alternative drink to replace Gatorade and other sports drinks? We’ve got a few suggestions for you. 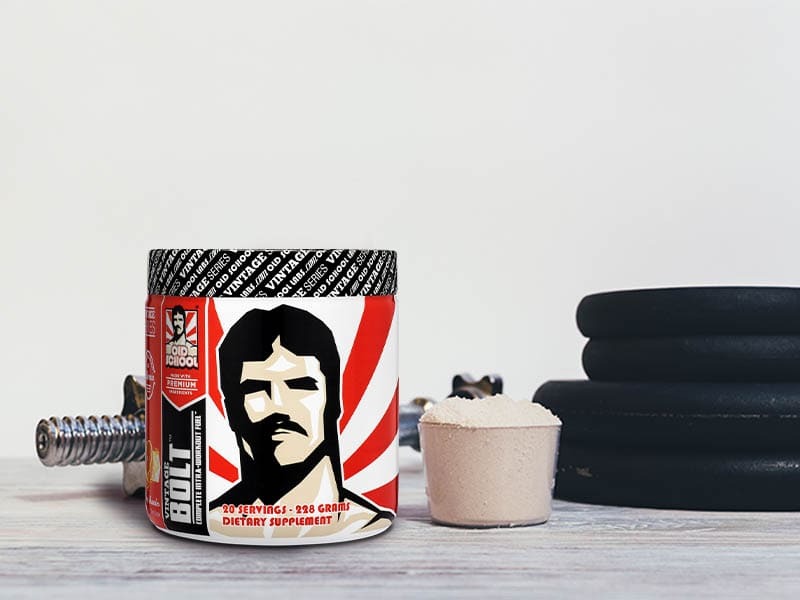 It also contains MCT oil and amino acids to help fuel your workout and aid in muscle-building to achieve your goals. Vintage Bolt is well suited as an intra workout drink. 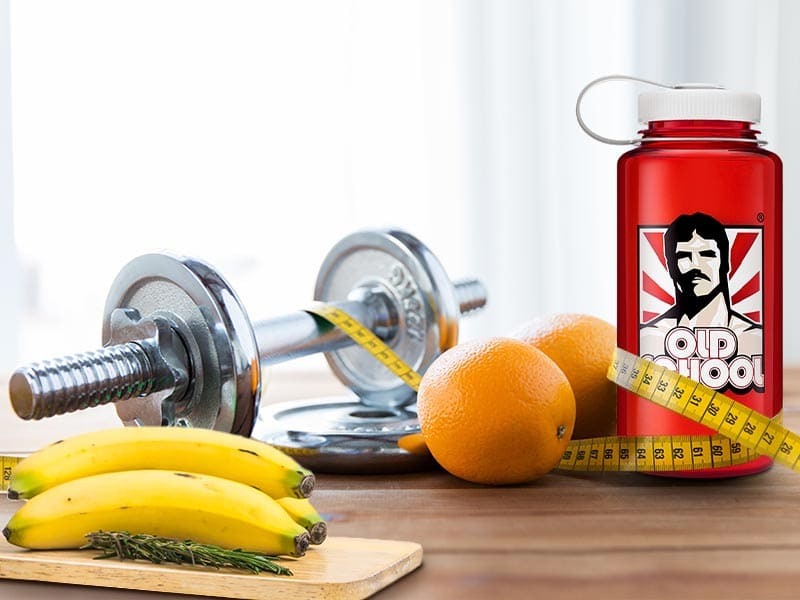 You can add water to one scoop of Vintage Bolt and sip this drink while you are working out to provide your body with the nutrients it needs to fuel your muscles during your weight training workouts. For some, the simplest alternative may be the easiest. Coconut water may be just a fad for some people, but studies show promising results that the naturally occurring minerals in coconut water can aid in rehydration and refilling energy levels, much like sports drinks. It is also lower in calories per serving and can be a better choice for people who deal with nausea or upset stomach. Plus, you can be assured that the one and only ingredient in the bottle is coconut water (unless flavorings have been added). There are other health benefits to drinking coconut water as well, which might make it a better choice for some than just plain water. Another option for you could be to just make your own. For someone who doesn’t like plain water, or can’t drink coconut water, this may be the best alternative. You can experiment with your own flavors and control the amount and types of ingredients used. Fill your favorite drink container about three-quarters of the way with water, coconut water, or both if you prefer. Then, add whatever fruit combination you want, like cucumber and watermelon, strawberries and blueberries, or strawberries and kiwi. The fruit will likely sweeten the drink enough, but if not, add no more than one teaspoon per container of local honey, Stevia or monk fruit sweetener in place of plain sugar. Don’t forget to add a pinch of table salt to give your body electrolytes. Infuse the mixture overnight in the fridge and be ready to start your day right with a healthy, more wallet-friendly alternative to sports drinks. A sports drink like Gatorade is considered empty calories with no nutritional value, and should only be used sparingly when activity levels warrant it if at all. High activity levels require the body to burn energy, so using sports drinks to replace those nutrients quickly can do so with little to no adverse health effects. If you are not a pro athlete or work out extensively for at least an hour or more, there are better choices for you. Healthier alternatives like water, coconut water, and fruits and vegetables should be considered in most cases, especially for children.